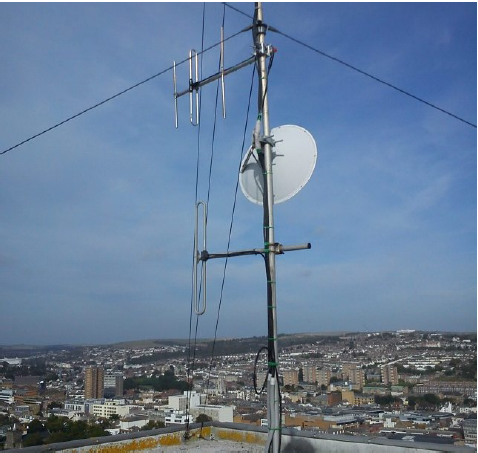 A three-month experiment in Brighton has proved that Digital Audio Broadcasting can be cheap and easy to transmit, opening the way to community and local stations – and perhaps a pirate or two. The experiment was carried out by Ofcom broadcast specialist Rashid Mustapha, though in his own time and at his expense. Despite that, the regulator has decided to publish the results as a demonstration that low-power DAB broadcasting can be done at very low cost, and without interfering with existing services. The Brighton experiment, which was carried out under a Non-Operational Test and Development licence, used an old PC running a Software Defined Radio stack to generate the DAB signal. Later testing proved that a Raspberry Pi could have filled that role, but for three months a 2GHz Pentium box was used. That box received audio data over an IP stream, converted it into MP2 (the preferred audio codec of DAB) and fed it into the open-source CRC-DABMUX: a software DAB multiplexer developed by the Canadian-government funded Communications Research Centre, though other software packages were also tested. The last patent restricting the use of DAB ran out in January, so software radios can use DAB without fear of litigation — something which doesn’t apply to the more technically advanced DAB+. But more interesting was the use of an overpowered RF amplifier and filters, run at well below rated powers to keep transmissions within the power mask required by the International Telecommunications Union for DAB transmissions. The mask defines how square a signal must be, as radio transmissions trend towards the bell-shaped, thus spreading into neighbouring bands at their base. In DAB that squaring is normally accomplished with (expensive and bulky) cavity filters, but this project was to see if it could be done on the cheap. Which it could — interference was minimised and transmissions stayed within the ITU mask, proving that anyone can set up a DAB broadcast station for minimum outlay. Ofcom reckons this will take community radio stations digital. Many areas have successful community stations operating on FM, but most of those are run on borrowed hardware which won't stretch to space on a commercial DAB multiplex.